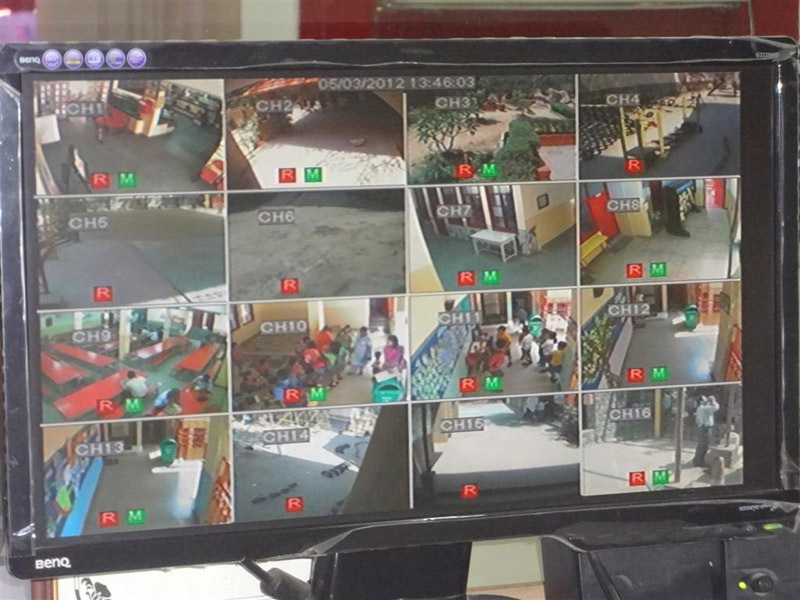 There is a highly trained professional security management team in place at each campus. Guards man the gates round the clock, monitoring the entry and exit of students, staff and visitors. 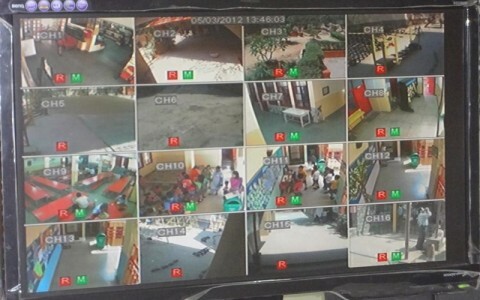 16 strategically located CCTV’s enable the school to keep a keen eye on students’ safety; these are monitored regularly by the administration personnel during school hours. Teachers are allocated duties, by turns, around the different areas in school during the children’s snack time to be able to ensure children’s safety on the school’s grounds during this free play time. 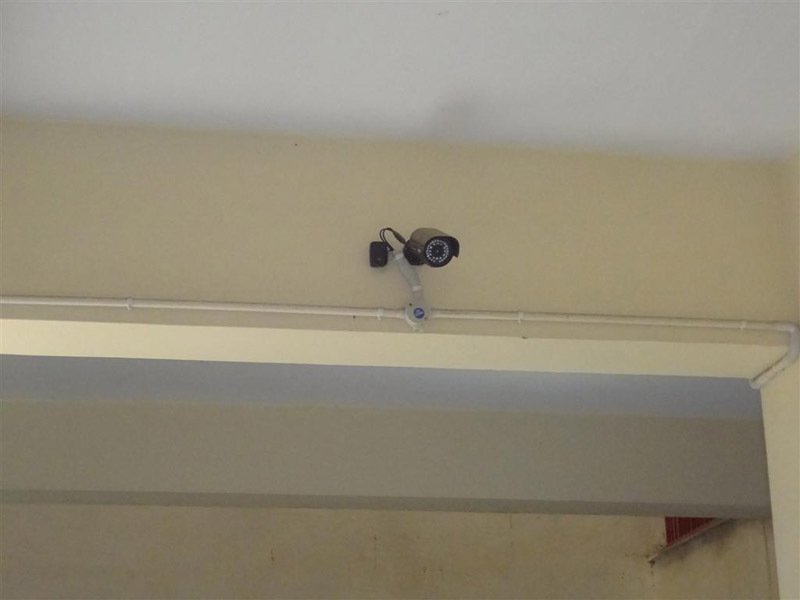 The school premises are also fumigated fortnightly. Social and emotional development has significant implication for the child’s current and later social functioning, and for educational and employment success. Given the currently evolving social structure, a lot of emotional tasks of childhood – from developing trust in others to a sense of competence and self-esteem, occur primarily in school. School is often the most consistent source of structure in the lives of many children, and a crucial source of building resilience in a child. Therefore it is necessary to ensure that it is a safe zone for students. Each teacher ensures that students are made aware, in an age appropriate manner, about ‘Good touch, bad touch’, ‘personal space’ and other such issues through discussions, circle time interactions and stories. Parents and students of grade 5 undergo modules on issues of ‘Growing Up’ so as to be better prepared for the physical and psychological changes, with the onset of adolescence. Students of grade 5 undergo a workshop on self defence which also has a module on cyber safety. Parents are imparted information through a workshop to ensure cyber safety for their children. 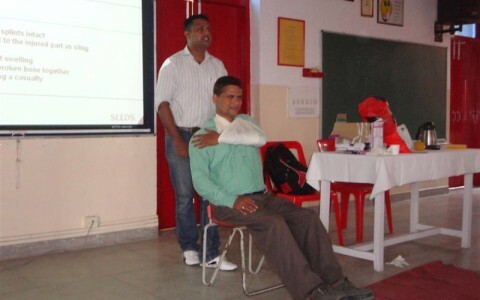 The school has two counsellors who provide guidance and support to the students in a way that the counselling experience becomes a positive and supportive influence in their lives, and helps to value the uniqueness of every child to contribute to building self-esteem for him or her. 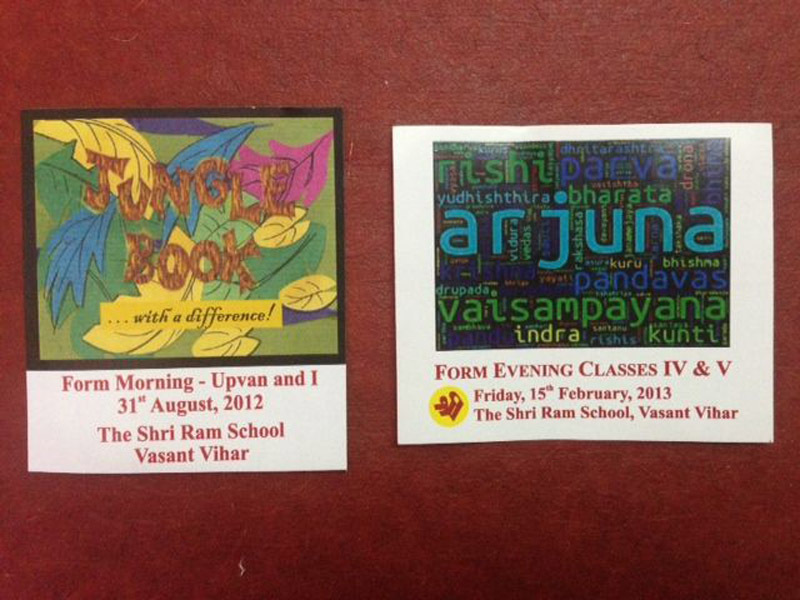 Visitors are issued the ‘Visitor’s Pass’ before being allowed to enter the school premises. Students are required to wear the ‘Identity Card’ issued by the school to ensure ready identification in case of need as well as quick provision of information about the child’s parents/ guardians, if needed. 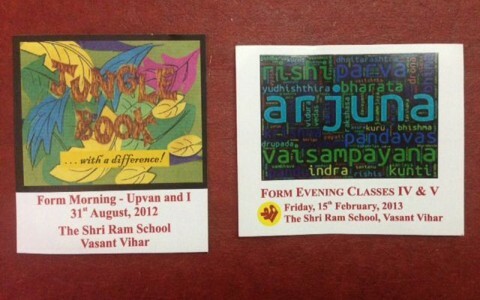 Teachers are also required to wear Identity Cards issued by the school. Students are dispersed from the buses/classrooms only after verifying that the person receiving the child is carrying the ‘Gate Pass’ issued for this purpose from the school. 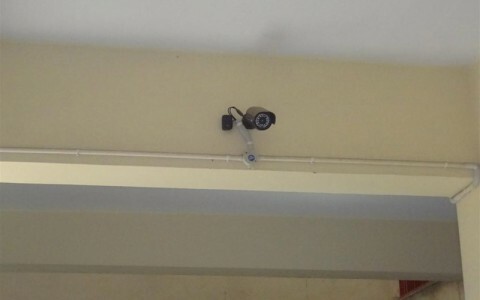 The school uses specially created ‘Sticker passes’ for entry to all school functions to ensure that only bonafide persons can gain entry to the school. A programme for ‘Disaster Management’ has been put into place by the school for immediate response to disasters in the form of fires, earthquakes etc with technical support and guidance from SEEDS, India. 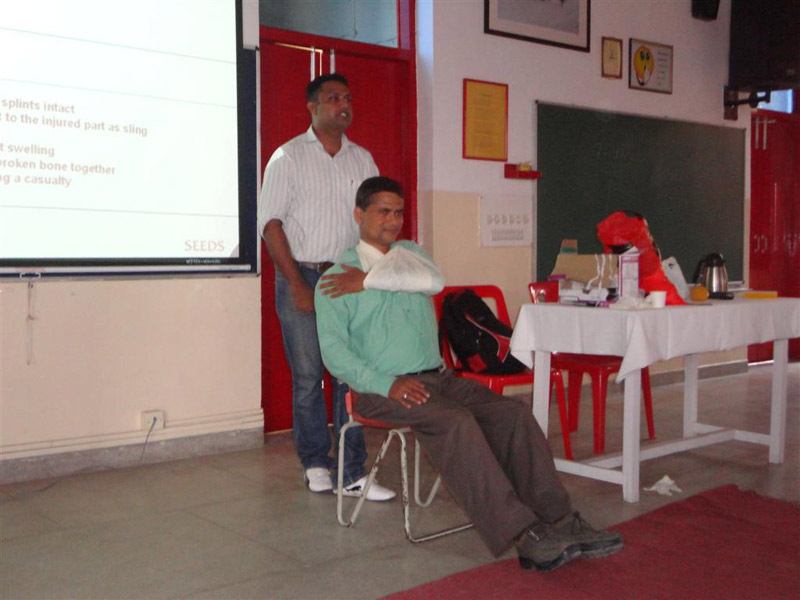 Regular evacuation drills ensure that the systems in place for ‘rapid response to disaster’ are tested and streamlined to ensure fast evacuation in case of need.